View types of sleep disorders. Bimodal sleep patterns are the natural progression of sleeping. As people experience the five stages of sleep, they go through periods of deep rest patterned with periods of light sleep, and waking may be a natural part of the process. The notion that a good night's sleep consists of blissfully uninterrupted unconsciousness is common. Many people expect to drift off into restfulness without waking at all throughout the course of the night. When waking occurs, some may become worried that the disruption is a sign of a sleep disorder. This isn't necessarily the case. Richard A. Friedman, M.D. writes in the New York Times article, "Sleep Disorder? Wake Up and Smell the Savanna" that some people may think that they have a sleep disorder, when they are simply experiencing normal patterns of sleep. The problem lies in the way we assume a restful night's sleep should be. 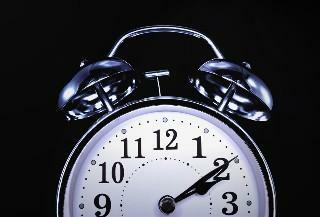 The assumption that sleep should occur uninterrupted for eight consecutive hours can be deceiving. What are bimodal sleep patterns? Dr. Wehr, who conducted a study that involved allowing people to sleep without outside influences, noticed the bimodal cycle of sleep in the early 1990s. The sleep study participants were placed in rooms that stayed dark for 14 hours and were allowed to rest whenever they felt necessary. Participants slept for about 11 hours during the first night. This may be attributed to their bodies trying to make up for sleep deprivation. After four weeks, participants slept an average of eight hours per night. The eight hours of sleep were not consecutive. There was a pattern of bimodal sleeping. The night's pattern of restfulness is in two distinct chunks, with the sleepers lying awake for a significant period of time. This patterning of sleep does not occur in everyone. It is considered to be a primitive cycle of rest. As technology has advanced, the effects on the natural sleep rhythms in humans has adapted to the changes. Nighttime lighting can interfere with the body's natural sense of when to drift off to sleep and when to wake. The result is the tendency to pack up rest time into roughly eight-hour pockets of time rather than two blocks that last three to five hours. Circadian rhythms are important aspects of sleeping patterns. They are the rhythmic cycle of mental processing, behavior and physical changes that exists in all living things. A researcher from the University of Minnesota named Franz Halberg noticed the biological cycles in plants, animals, humans and primitive microorganisms. The patterns run a course in 24-hour timeframes. The circadian rhythms are strong in some individuals in spite of the tendency to stay awake with artificial light. Individuals who are still strongly influenced by the natural bimodal sleep rhythms tend to wake during the night at least once. The compliant that they cannot fall back to sleep immediately is common and it may be mistaken for insomnia in some cases. It is important to determine whether nightly disruptions in sleep are caused by a sleep disorder or by natural circadian rhythms that are immune to artificial lighting and other changes in the environment. The best approach to determining this is to discuss the symptoms with a physician. As a rule of thumb, if the wakefulness does not interfere with your ability to function normally on a regular basis, there is probably no need for concern. Those who experience the signs of sleep deprivation should seek medical attention. If the waking can be attributed to medications, alcohol, drugs or poor sleep hygiene, a doctor can help you make the necessary changes in lifestyle. Some sleep medications including Ambien and Lunesta are designed to treat individuals who have the symptom of waking in the middle of the night without being able to fall back asleep right away. Medication may not be necessary for everyone. Talking with a physician about this option to treating the sleep problem can help you make the right decision. Prescription medication should treat a disorder, not a natural pattern of resting.